what do think of this map? I don't know if it's been posted before. I actually like it and think it could work. Taking away the entire Azerbaijan and parts of Kurdistan from Iran? Are you kidding me? May I ask where you got this map from? I mean what's the source for this map? Democracy in Lebanon!? Not to mention Baluchistan and parts of Khoozestan! Ino chand vaghte keh sakhtand, montaha ye mosht javoon fekr mikonand keh mitunand iran ro injuri tike konand ,nemifahmand digeh ! 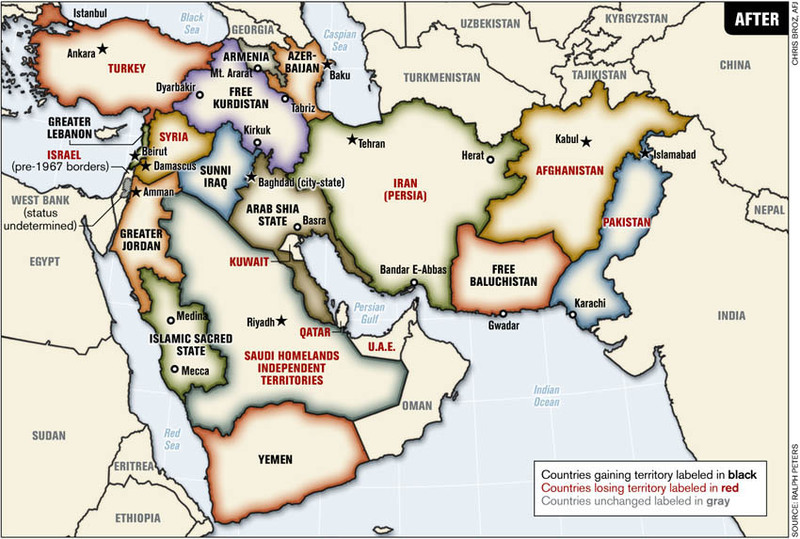 Hi Keano, this map was proposed by an American retired colonel by the name of Ralph Peters!! It was an article written by him in the Journal of Armed Forces. It's clear that this guy understands the ethnic/religious groups of this poor Middle East. Nice stuff. There is a lot of difference between the old and new map. In new map Geometrically I can not found that it is really that old area which is described in the map. I've seen this map before, it was produced by one of the United State's military branches as part of a NATO training exercise that offended its Turkish participants lol. 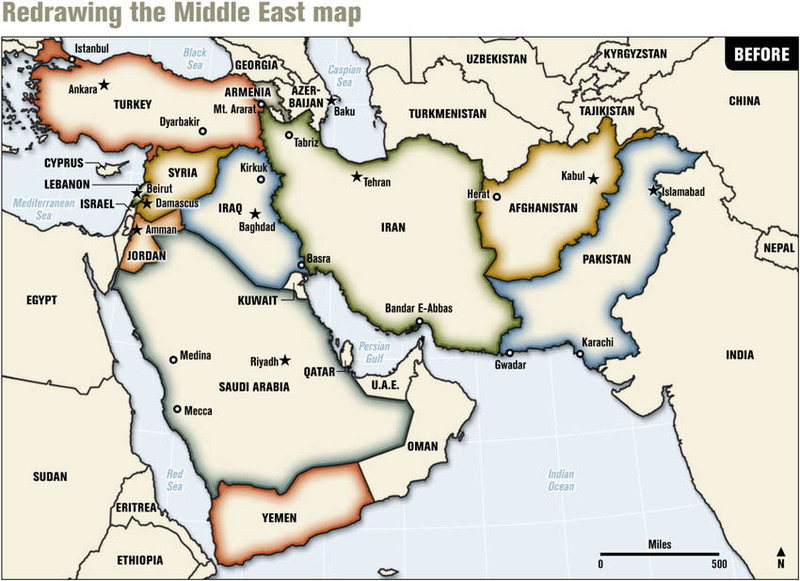 Many PS (Political Scientists) use it to show what could potentially happen if an all out war in the Middle East breaks out. I want to know what Iranian in his or her right mind would ever support such an abomination? There is no way we would ever allow anyone to take even an inch of our beautiful land away from us. That map is a joke and would only led to further ethnic divisions and strife in the region. Zendeh bad Iran Zamin va mellate khojastehye Aryanam Iran!